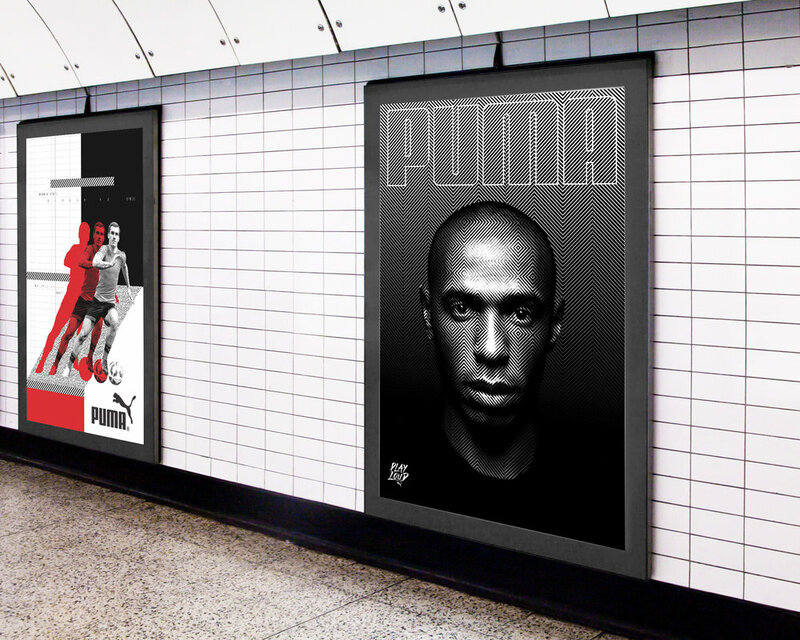 PUMA Teamsport PLAY LOUD inspired Brand Campaign execution by the Juliet Zulu Team. I worked closely with the Creative Team and Client to facilitate the development of the Teamsport rebrand. 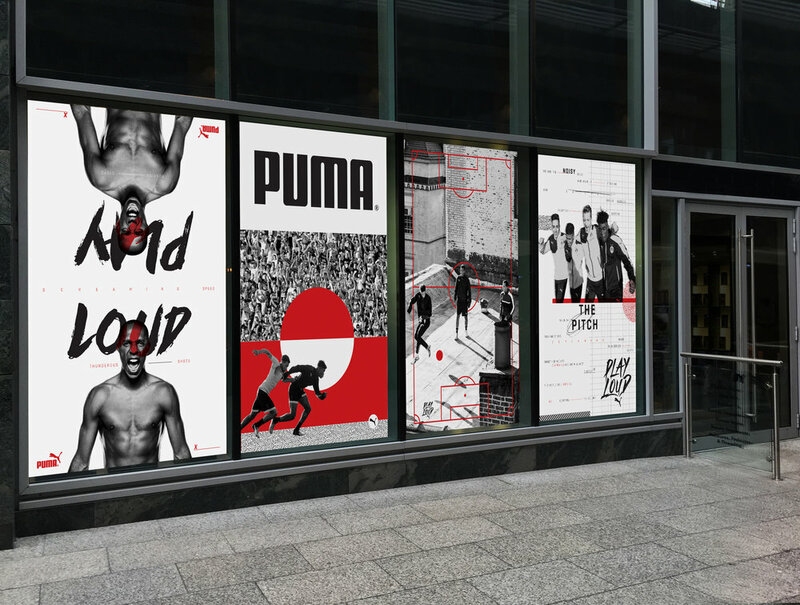 I worked closely with the Creative Director and Art Director to help manage the design team and client through development and execution of the wayfinding assets. Sell in mock ups for in store and OOH.